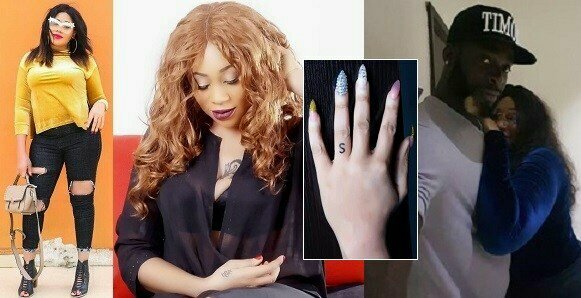 Love is in the air for Nigerian actress and movie maker Maryam Charles who boldly inks the initial of her boyfriend on her wedding ring finger. 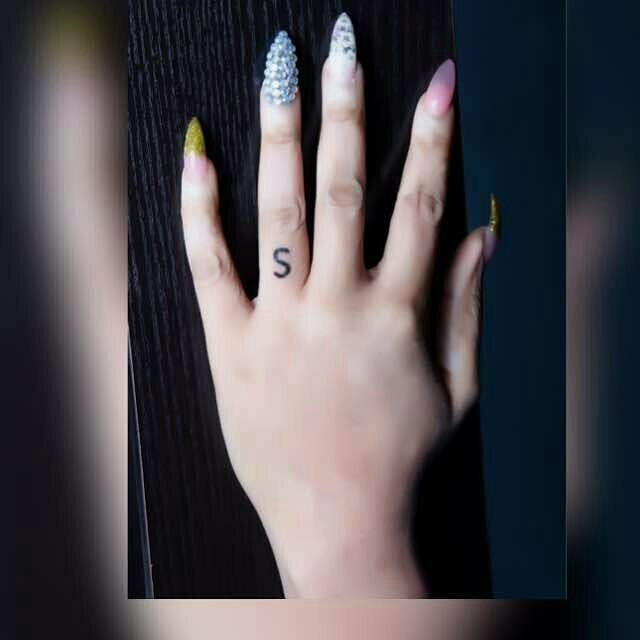 The tattoo was spotted when the actress displayed her newly fixed nails in a picture she shared on her social media. She simply wrote the letter ‘S’ on the third finger of her left hand. Further probe revealed the ‘S’ means ‘Stephen’, although the ‘Madam Caitlyn’ producer didn’t give details about her relationship with him, but, one thing is certain, Maryam is drunk in love. 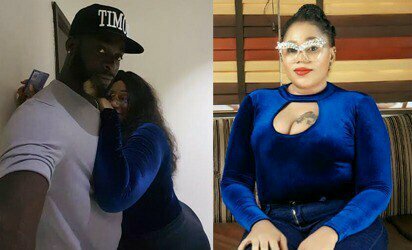 We’re however not sure if Stephen was the man who was spotted posing cozily with the actress in a photo that recently went viral on the net, with claims that he’s based out of the country. 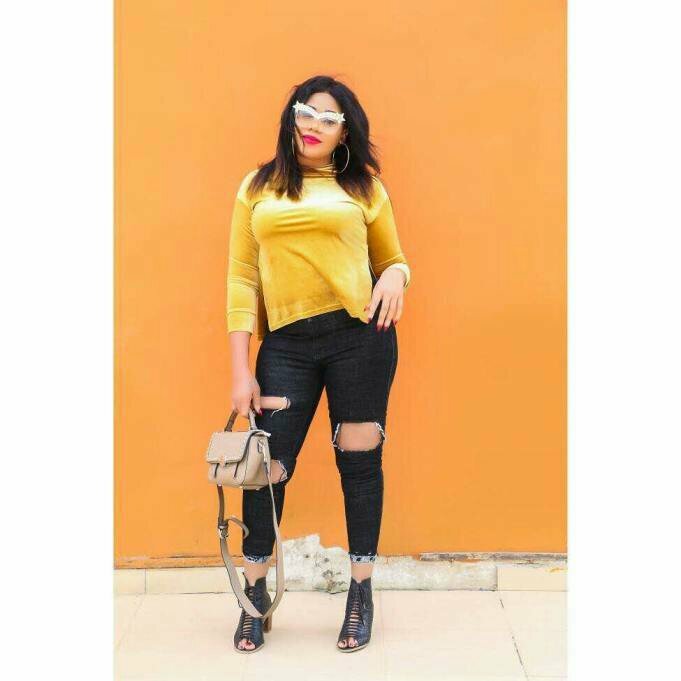 Recall, Maryam was one of the vocal celebrities who condemned Nigerian men celebrating the newly launched female s-ex doll and advised them to be responsible and take good care of their girlfriends (wives) instead of jubilating over a doll.